Russia Blasts UK Foreign Base Plans, Vows "Appropriate Retaliatory Measures"
In a dangerous moment of escalating rhetoric between two global powers, Russia has slammed recent British defense statements suggesting the UK is seeking to establish new military bases in the Caribbean and southeast Asia. On Friday the Russian foreign ministry called prior statements regarding post-Brexit military expansion by UK defense secretary Gavin Williamson "of a counter-productive, destabilizing and frequently provocative nature" and said should such plans proceed, Russia could "take appropriate retaliatory measures." The veiled threat could mark the beginning of a "new Cold War" arms and base-race between Moscow and the West, given that it signals Russia's willingness to respond to any UK bases reestablished in former British empire locations with its own aggressive revitalization of old Soviet bases. 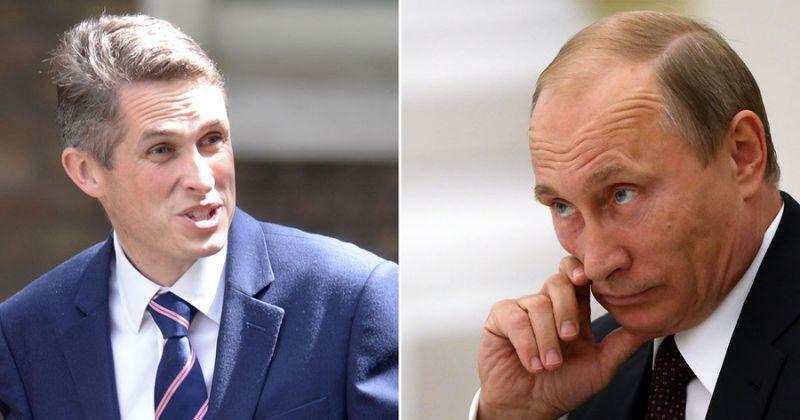 "The pronouncements by the UK defense secretary in favor of further militarizing the British policy cause at least bewilderment," Russian Foreign Ministry spokeswoman Maria Zakharova said, according to state-run TASS. "This is our biggest moment as a nation since the end of the Second World War, when we can recast ourselves in a different way, we can actually play the role on the world stage that the world expects us to play," the British Conservative MP and Secretary of State for Defence said. "For so long — literally for decades — so much of our national view point has actually been colored by a discussion about the European Union." Williamson also suggested a new reversal of policies active during the final decades of the decline of the British Empire, saying under his watch the 1960s policy of pulling back from areas “east of Suez” has been scrapped and expressed a desire to "recast" the UK's role and leadership in the world. Concerning military bases, perhaps the more controversial part of his Dec. 30 interview, he proposed Singapore or Brunei in the Pacific – deep in what China consider's its sphere of influence – as potential sites for a base, asserting that “if we have economic interests there, we should have a military interest there.” He also mentioned a potential base in the small South American country of Guyana, or on Montserrat in the Caribbean islands. Of course, Britain like any other country is independent when it comes to its military construction plans. But against the backdrop of overall rising military and political tensions in the world... statements about the desire to build up its military presence in third countries are counter-productive, destabilizing and possibly of a provocational nature. In the event of any measures that pose a threat to Russia’s security or that of its allies our country reserves the right to take appropriate retaliatory measures. However, as Reuters notes, "Russia has military bases in several countries across the former Soviet Union and operates military facilities in Syria." But it remains that the drastic potential step of re-opening Soviet-era bases in Cuba and Vietnam would indeed be seen as a provocative move toward serious escalation with the West.